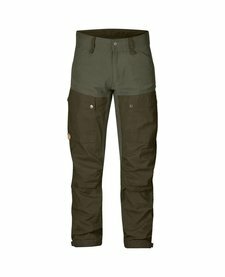 Technically advanced trekking trousers in stretch and durable G-1000 Eco. Optimized fit, ventilation and pockets. This model is also available in a 5 cm shorter version, Keb Trousers Regular (82830R).